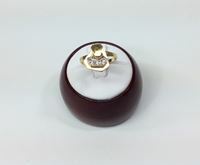 Welcome to Super Gold Jewelry online store. 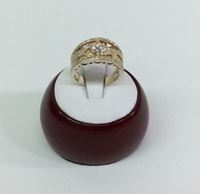 Super Gold Jewelry is a full service jewelry store with the goal of giving the satisfaction and happiness to all our customers. We have a physical presence en Miami since 1999 and our customers knows about our serious and professional manner. 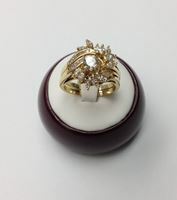 This is a great opportunity to 'visit' ours stores Super Gold Jewelry I at 5755 W Flagler St Miami FL 33144 and Super Gold Jewelry II at 11958 SW 8 St Miami 33184, from the comfort of your own home. This site was developed to better service our local customers and to help our more geographically distant clients keep in touch. 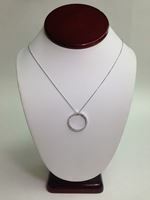 We invite everyone to peruse the designs featured here and welcome your jewelry inquiries by phone, fax, email or in person. 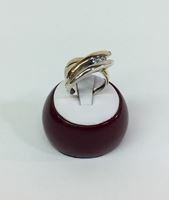 At Super Gold Jewelry Corp. , whether it be in our store or through our online store, we want to provide a professional environment and friendly for you to purchase quality jewelry to mark a significant life occasion. 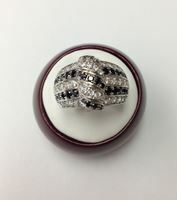 Our professional service and product knowledge, along with the value we place on establishing close personal relationships, both combine to create an ideal environment for procuring your fine jewelry and watches. 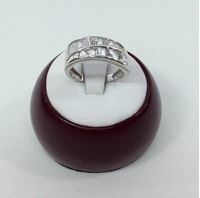 Our goals in designing this site are to sale online our products and communicate who we are as a company, to give you an opportunity to browse our jewelry, diamond and watches, to find out about the services we offer. 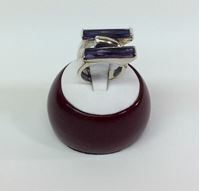 Elongated Purple Stone Fashion Ring in Silver and Gold Plated 14K . 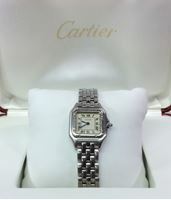 Case: Cartier Stainless Steel Caseback: Stainless Steel Bezel: Stainless Steel Dial: White Stone Accent: Cabochon Blue Sapphire Crown Hands: Black Markers: Roman Numeral Bracelet: Stainless Steel Row Panthere Clasp: Hidden Crystal: Scratch-Resistant Sapphire Crown: Screw-Down. Condition: Pre-Owned: An Item that has Been Used or Worn Previously. See the Seller’s Listing for Full Details and Description of Any Imperfections Typographic Errors are Subject to Correction. Merchandise Enlarged to Show Detail and May not Always be Exactly as Pictured. Promotions, Prices, Styles and Availability May Vary by Store and Online. 0.60 CT.T.W. Approx. 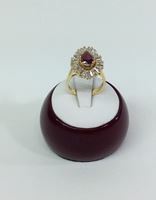 Pear- Shaped Ruby & 1.80 CT.T.W. Approx. 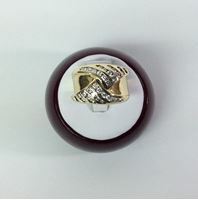 Baguette Diamond Fashion Ring in 18K Yellow Gold .